Situated at the West end of the Main Street in the village, the Church is one of the most beautiful in East Lothian, but it wasn't always so. Before being renovated around 1886, it was described as plain, unattractive, even ugly. So much has changed. You will be made very welcome at the Sunday service, 11:15am, as well as all other times. A wide variety of bird and wildlife inhabit the reserve. It is popular with birdwatchers, with many different species to be seen throughout the year. 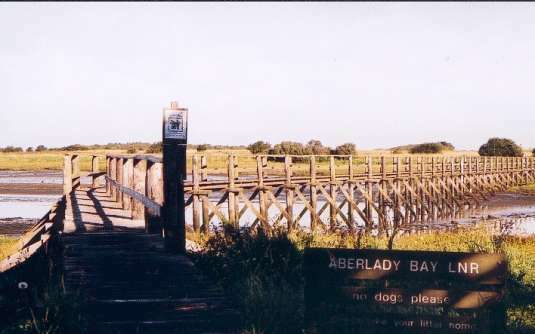 There is a car park situated to the East of Aberlady, from where a bridge provides access. Please remember to use the paths at all times. Erected in memory of this World reknowned writer of mainly historical novels, who for many years lived in Quarry House close to the wooden bridge which he crossed frequently in search of inspiration. 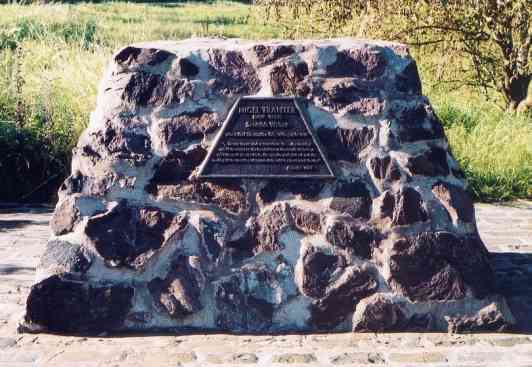 The Cairn was unveiled on 23rd November 2000. It can be found at the Nature Reserve car park. For information on Nigel Tranter and to buy some of his books click HERE. 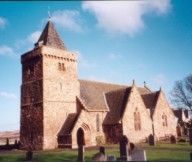 On 24th April 2003 the Nigel Tranter Centre was opened in Lennoxlove House, South of Haddington but since 2008 it has been housed in the north transept of Athelstaneford Parish Kirk. I would think this would be well worth a visit. Building began on this Robert Adam designed mansion in 1790 which until his death at the end of 2008 ( aged 96 ) was the Residence of the 12th Earl of Wemyss. It is open during Summer months and can be found on the A198 Aberlady to Longniddry road. Please mention The Aberlady Pages web site when contacting anyone through this site.